Dieng is a plateau region in Central Java, who entered the district of Banjarnegara and Wonosobo. It is located to the west of the complex and the Mount Sindoro Sumbing. Dieng is an active volcanic region is said to be a giant volcanic crater with a few craters. The average altitude is about 2,000 m above sea level. Temperature ranges from 15-20 ° C during the day and 10 ° C at night. In the dry season (July and August), temperatures can reach 0 ° C in the morning and bring frost by locals called bun upas ("dew poison") for causing damage to agricultural crops. Administratively, Dieng Dieng is Kulon Village area, Batur subdistrict, district Banjarnegara and Dieng ("Dieng Wetan"), District Kejajar, Wonosobo district. This area is one of the most remote regions in Central Java. Dieng name comes from the combination of two words Kawi language: "in", which means "place" or "mountain" and "Hyang" which means (God). 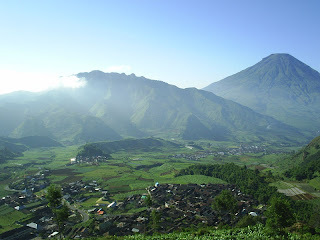 Thus, Dieng means mountainous region where the gods and goddesses residing. Another theory states, Dieng name comes from Sundanese language ("in hyang") as estimated in the pre-Medang (around the 7th century AD) the area under the influence of the Kingdom Galuh politics. Dieng plateau (DTD) is plain with volcanic activity beneath the surface, like Yellowstone or the Tengger Highlands. Indeed it is a caldera mountains surrounding the edges. There are many craters as the release of gases, water vapor and various other volcanic material. This situation is very dangerous for the people who inhabit the region, as evidenced by the presence of gas eruption crater Sinila 1979. Not only poisonous gas, but it can also be possible earthquakes, mud eruptions, landslides and floods. In addition to the crater, there are volcanic lakes that contain water mixed with sulfur that has distinctive yellow-green color. In biology, volcanic activity at Dieng interesting as found in hot waters near the crater of some species of thermophilic bacteria ("like it hot") which can be used to uncover the early life on Earth. Sibanteng located in the village of Dieng Kulon. This phreatic crater erupted in January 2009 (15/1), leading to the tourist area of ​​Dieng to be closed several days to anticipate disasters gas poisoning. The eruption of the mud came up to 2km, Perhutani forest destruction around him, and caused landslides Kali stem White River Serayu.Kawah Sibanteng child had also erupted in July 2003. Sikidang crater in the DTD is the most popular visited by tourists because it is most easily achieved. The crater is famous for gas discharge holes are always moving in a wide area. From this character derives its name because locals see it move like deer (deer in Javanese). Sileri is the crater of the most active and has erupted several times (based on the record: in 1944, 1964, 1984, July 2003 and September 2009). In the last phreatic activity (26 September 2009) appear three new craters gap is accompanied by the emission of material as high as 200 meters. Sinila located in the village of Dieng Wetan. Sinila crater had erupted in the morning in 1979,  February 20, 1979 to be exact. The earthquake caused made people running out of the house, but they were trapped toxic gases coming out of the crater eruption triggered Sinila Weigh result. A number of residents (149 people) and cattle died of gas poisoning carbon dioxide is released and spread to residential areas. Some of the cultural and natural heritage has been used as a tourist attraction and is managed jointly by the two districts, namely Banjarnegara and Wonosobo. Here are some of the attractions in Dieng. Ponds: Colour Lake, a lake that often elicits shades of red, green, blue, white, and mauve, Telaga Pengilon, just adjacent to the lake colors, unique color of the water in the lake is not clear like sulfur mixed. Another uniqueness is the limit Telaga Telaga Pengilon color with just the grass that forms such a small swamp. Merdada lake, is the largest in the existing teelaga Dieng Plateau. The water never receded used as irrigation for farms. Even the lake is also used by anglers for a hobby or a traveler as well just drive around in small boats are rented out by locals. Crater: Sikidang, Sileri, Sinila (explode and release toxic gases in 1979 with 149 victims of the soul), Crater Candradimuka. Complex of Hindu temples built in the 7th century, among others: Ghatotkacha Temple, Temple Bhima, Arjuna temple, temple Semar, Temple Sembadra, Heroine Temple, Temple Setyaki, Gangsiran Ashwatthama, and Temple Dwarawati. Cave: Semar Cave, Jaran Cave, Cave wells. Located between Colour Lake and Ponds Pengilon, often used as a place of spiritual though. Dieng Volcanic Theater, a theater to see a movie about the volcano in Dieng. Kailasa Dieng Museum, storing artifacts and provide information about the nature (geology, flora and fauna), the Dieng (daily, agriculture, religion, arts) and the archaeological legacy of Dieng. It has a theater to see a movie (currently about archeology Dieng), an open platform on the roof of the museum, as well as restaurants. Dieng is the producer of highland vegetables to Central Java. Potatoes are the main commodity. In addition, carrots, cabbage, onions and a variety of onion produced from this region. In addition to vegetables, Dieng is also a production centers mountain papaya (carica) and fungi. However, due to rapid agricultural activities in the forest area peaks running out of land converted to vegetable crops. 58 ° C (Siglagah) . Sikidang region has begun to be used as a source of hydrothermal energy. The actual name of a sovereign country we are talking about is The United Kingdom of Great Britain and Northern Ireland (UK). United Kingdom consists of several countries including England, Scotland, Wales and Northern Ireland. The third use of the term of this confusion appears to revolve around the term "state" and political forces that are considered based on the third term. The four countries that make up the UK are considered separately in the minds of local residents, and in particular sporting events, while their power to local laws and to control handed over to the UK. Imagine that there are 33 provinces in Indonesia, where each province has a set of their own legal system, but they are all still under government control. Although in the case of UK, also implied certain responsibilities, such as health and education, which is delegated to three of the four countries. Delegated responsibilities differ from one country to another. English is the only country where the UK did not give up power because Britain is governed directly by the UK government. And when attending meetings of international politics, which comes is a recognized representative of the UK instead of the four constituent countries. 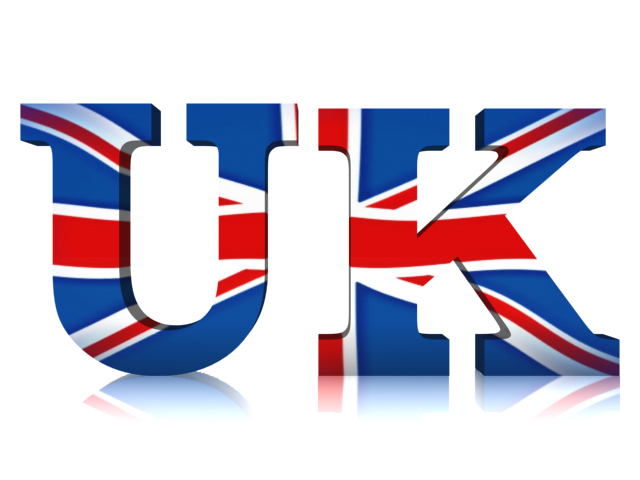 The term "Great Britain" or "United Kingdom" refers to the mainland (the island) which consists of England, Scotland, and Wales. Also add to the confusion that sometimes the difference between Britain and the UK is that the term is sometimes used internationally as a synonym for the UK. For example, the UK Olympic team competing under the name "United Kingdom" and the ISO (International Organization for Standardization) provide country code UK with GB and GBR. It can be confusing given that ISO also provides code for England, Scotland, and Wales as the state of the UK but Northern Ireland as part of the province. So, if dianak tirikan Northern Ireland by the UK. Confusion over the definition of the four countries, continued in sports competition. There are several international sporting events, such as the commonwealth games (sporting the Commonwealth), and football competitions, in which each of the four countries has its own team, and do not compete under a unified national team. When competing under these conditions, these countries are referred to as the "home nations" because every team comes from a particular country. This could cause some people to think that these countries have their own political autonomy as well. UK does not have a single judicial system, but three separate systems. The legal system is the law of Northern Ireland, Scottish law and English law. As you probably guessed, English law also regulates Wales. There are some cases where there are laws that have jurisdiction throughout the UK, one of which immigration and employment law. In addition, the UK has four separate educational system, and also four separate health systems are submitted to each country. For the affairs of the capital, London is not only the capital of England, but also the capital of the UK. Capital of Scotland is Edinburgh. The capital of Wales is Cardiff. And there is the capital of Northern Ireland in Belfast. If you are wondering when the union between the countries that make up the UK it appears, it occurs as follows: England and Wales joined in 1536. Scotland and England joined in 1707, and along with Wales that had previously been joined, to formally establish "The United Kingdom of Great Britain". Ireland decided to join in 1801, which later formed "The United Kingdom of Great Britain and Ireland". However, in 1922, many county-level areas in the South of Ireland decided to break away and UK eventually renamed "The United Kingdom of Great Britain and Northern Ireland". Is it true that Slim Wife Make Happier Marriage? According to a recent study, the marriage will be happier if the wife has a more slender body than their husbands. Researchers at the University of Tennessee study the BMI (body mass index, a common measure of obesity) of nearly 170 newlywed couples, and share the happiness of their marriage also observed from time to time. Andrea Meltzer, principal researcher and a doctoral candidate at UT, said that he observed this effect on the happiness of her husband in early marriage. Husband will have more happiness if their wives had a lower BMI than themselves. The fact that men tend to be happier with a wife who is more slender of which may not be too surprising. But Meltzer and other researchers also found that women who have a lower BMI than their husbands will also feel happier with their marriage over time. In other words, wives are more slender than the husband will make both partners happier. Wives will be happier when their husbands happy. Meanwhile, if we look at other qualities are more important for women than men, such as economic resources, we can see the opposite effect. Women would be happier if their partner made ​​more money than them. This study is important because it shows that women with various body sizes can be happy in their relationships with the right partner. And women do not have to always struggle to be thin, but quite simply to be more slender than their partners. So if women who are overweight or obese which can lead to looking for happy marriage then she should choose her husband is more severe, or they can choose a pair with an average body weight and most people lose weight yourself to be more slender than their partner. Body size is just one of many factors that contribute to the happiness of marriage as a whole, although it does not seem to be important for both men and women. Other factors also may play a role (in addition to the appeal) is that the happiness of marriage is also correlated with health partners. The couple will be happier if their partners healthy. And slender women who on average will be healthier than women who are overweight or obese, increasing marital happiness for both partners. The scorpion is a very amazing little creatures. With almost two thousand species have been identified and was found in six of the seven continents, these arthropods have been able to adapt to some of the harshest environments on earth. Proved only in the Antarctic are the places on earth where you will not find a scorpion. One of the adaptations that they have is the ability to slow down their metabolic rate. Scorpions also have an organ called the "hepatopancreas" highly efficient and fulfilling functions equivalent to the liver and pancreas in humans. 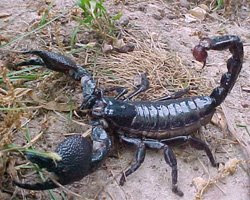 In addition, the scorpion also has the ability to consume enough food for their body size. The evidence suggests that they are known to eat up a third of their body weight in one meal. Due to the large amount of food consumed, the way their bodies are very efficient in saving nutrients, and the ability to slow down their metabolism, scorpions are known to last up to one full year or for 12 months without eating at all. It is estimated that the scorpion just ate the most 5-50 times per year. Along with the amazing ability to not eat for a year, some scorpion species can also be held to not drink water for two days. How a scorpion metabolism also has other benefits that are not shared by other animal species. While a slow metabolic rate is common in hibernating animals, the animals do not have the ability to wake from their sleep and defend themselves when attacked. While scorpions are not burdened with this weakness. As they rested in a low metabolic rate, they still can strike quickly if an emergency situation and the danger comes. This makes the scorpions can survive in conditions where a slower metabolism may be forced to have them do. Jealous that seasoning, although the pain sometimes save even revenge, but with the right levels, jealous needed to know how much he loved you. Jealousy comes along natural feelings of love or affection towards your partner. A fear of losing a spouse or a more severe loss of love itself. You only need to control how strong it can fight the feeling. 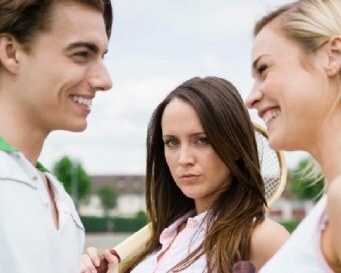 Jealousy is managed properly, can actually bring a teraliri warm feeling in the soul, even the presence of fierce debate could ward off a potentially devastating relationship. Then, why does it need to be jealous? The emergence of a sense this is a sign that you really care about the couple. Signals the body sends a response, something that would harm himself. This form of self-protection reflex occurs. Think it will develop into a good thing, a feeling compelled to protect the couple from the threat of danger. So, what to do when it comes jealousy? Do not always blame. Wise, ask first. Give a chance he explains. Tell them that there was never a desire to provoke a fight, only the intention to protect the relationship. 1. Is he sexually attracted to her? 2. Did you find a partner to fantasize with another woman? 3. Does he feel emotionally attracted to another woman? 4. Did he open up and share personal information with other women? 5. Did something happen between she and another woman to hide? Through a number of questions, play logic to assess whether it signals a serious jealousy or just blind jealousy. If it turns out it is not unreasonable jealousy, do not be embarrassed to apologize first. Disappointed to know the handsome Leeteuk "Super Junior" has got a wife? Not only that, the ELF was made jealous by the romance of Leeteuk with his wife, Kang Sora. This is demonstrated by hugging Sora Leeteuk at concerts "Super Show 4" in Japan, the MBC reality show episode, "We Got Married". Began when Leeteuk will appear in concert "Super Show 4", Sora is present without the knowledge of her husband. Actually, Sora had come to surprise Leeteuk in the locker room. But the existence Sora Leeteuk known that when the concert took place he was handing out roses to fans. Instead Leeteuk approached his beloved wife by giving the final rose. Want to surprise even got a surprise. With a romantic, Sora who was shocked husband immediately invited up onto the stage. Suddenly the ELF (fans) screaming hysterically, especially when Leeteuk singing while kneeling in front of his wife. ELF dibikinnya increasingly jealous when Leeteuk was hugging her tightly. Super junior Leader seemed to want to show so love him with Sora, and shamelessly showing affection and attention in public. As a result, he had made ​​Sora cry because it's romantic act. Super Junior's other personnel do not want to miss, was immediately scrambled hugging Leeteuk come from behind. Even more impressive again, before returning home, Sora gives Leeteuk lunch box and deliberately arrange the food menu in accordance with Leeteuk's face. Cash only Leeteuk thrilled with the "picture" themselves through food ingredients from fried fish cakes, ham, egg and tomato. "How can I eat?" Leeteuk said amazed.